Products - This table displays the products that were defined to be supplied by this supplier. Represented Clients - This tab will be available if the supplier is a Middleman. 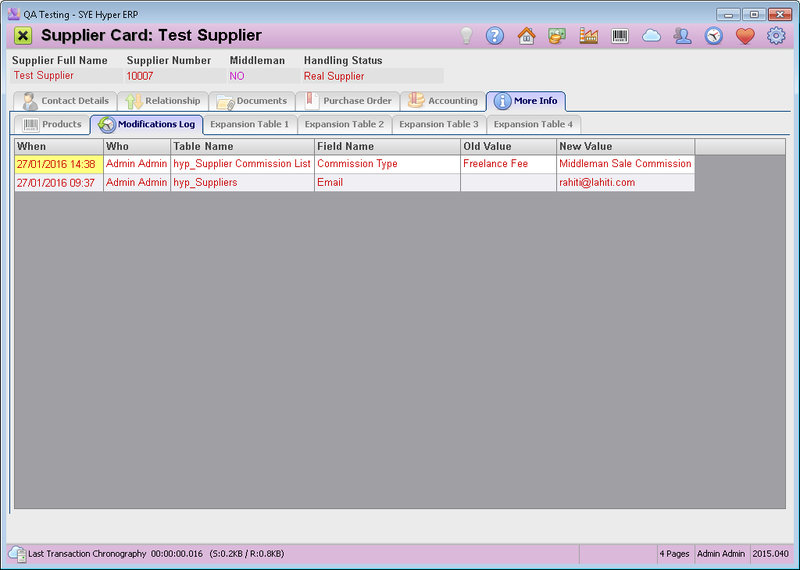 Modifications Log - The modifications log of the supplier. 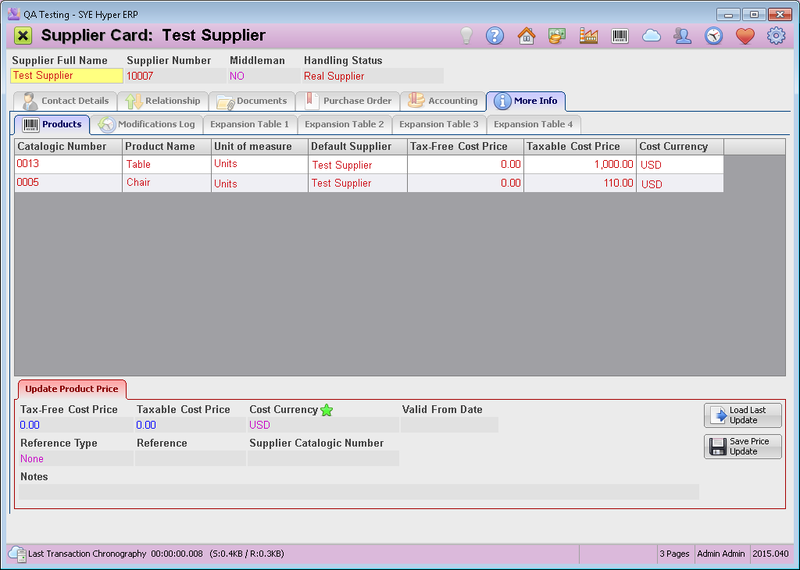 Use this tab to follow the updates and modifications made in the supplier card. Expansion Tables - These tabs can be added according to the requirements of the organization. In order to use these expansion table go to the "Expansion Modules" tab of the System Fundamentals and activate the required Extra Properties. 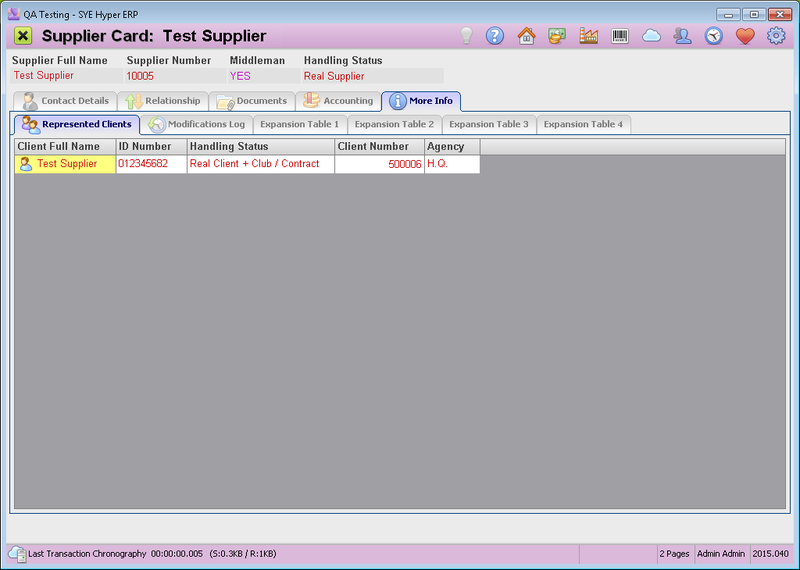 This is an informative tab that presents all of the modifications made in this supplier card. The modifications are automatically updated by the system and can not be deleted. A new modification record will be created for any modification made by the user. The table presents the time when the modification was done, the User Name, Table name, Field Name, Old Value and New Value. This tool allows the manager to follow the modification in order to prevent unwanted modifications and to recover wrong modifications.